Bryn Terfel.The theatre in Bangor University’s new Pontio building is to be named ‘Theatr Bryn Terfel’ in honour of the Gwynedd-born and internationally renowned opera star. 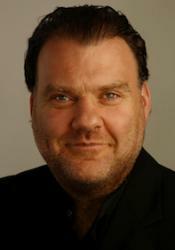 Bryn Terfel is an Honorary Doctor of Bangor University and has performed in Bangor on numerous occasions, as well as bringing world-famous performers to the Faenol Festival for many years. Bryn Terfel’s career has reached meteoric heights in recent years, portraying characters such as Figaro and Falstaff as well as being very highly acclaimed for his portrayal of Wagner’s Wotan. He has performed at prestigious opera houses around the globe, but his career has its roots in competitions at the Urdd and National Eisteddfod as a schoolboy before he moved on to study at the London Guildhall School of Music and Drama. Bangor University is proud to honour an individual who has made such a remarkable contribution to the field of music and been such an outstanding ambassador for the region and for Wales. Pontio’s multipurpose mid-scale theatre will host Welsh and English drama, circus, comedy, dance, opera, classical music, world music, gigs and much more. Professor Hughes added: “The University Council also recognised the important part that other individuals have played in the arts and innovation in north Wales. We are grateful to all those who have made suggestions, and written to us regarding the name of the theatre, and we will now be considering ways in which the contribution of other individuals can be recognised, as well as that of our funders and sponsors." The new Pontio arts and innovation centre is scheduled to open in early autumn 2014.